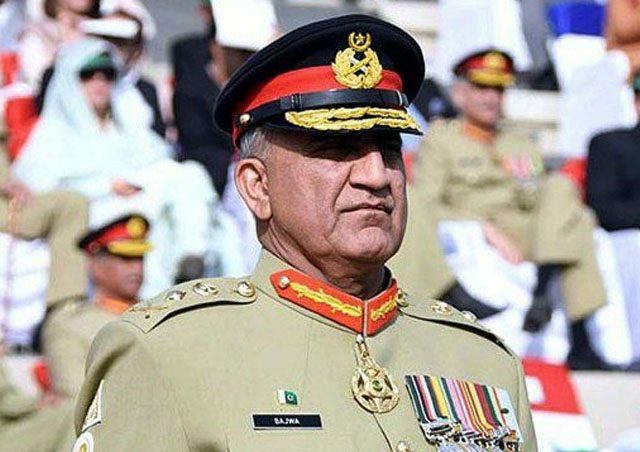 RAWALPINDI: Chief Of Army Staff (COAS) General Qamar Javed Bajwa on Monday praised the resilient spirit of the people of Indian Occupied Kashmir (IoK) and hoped for a successful outcome of their struggles for the right to self-determination. In a Twitter message on the Kashmir Solidarity Day through army’s spokesperson Maj Gen Asif Ghafoor, COAS stated,”Repression of Indian occupying forces can never suppress valiant spirit of Kashmiris who rightfully await awakening of the international community for plebiscite under UN resolution. Regardless of the ordeal, their struggle is destined to succeed IA”. Meanwhile, Kashmir Solidarity Day was observed across the country on Monday to express solidarity with the Kashmiri people who are struggling for their right to self-determination under the United Nations resolutions. The day dawned with special prayers in mosques for progress and prosperity of Pakistan, eternal peace of martyrs of Kashmir’s struggle and liberation of all occupied territories including IoK and Palestine. A holiday was announced in Pakistan, including Azad Jammu Kashmir (AJK). Human chains at Kohala Bridge, Mangla Bridge and other points linking Pakistan and Azad Jammu Kashmir were also formed. Special cultural programmes and festivals were also held to promote Kashmiri culture and tradition while photographic exhibitions were arranged to depict the atrocities committed by Indian forces against the Kashmiris.